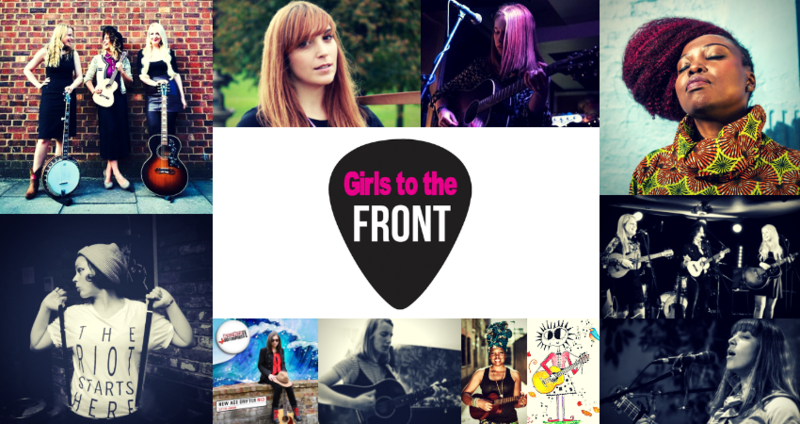 Green Note and Blue Monday present Girls To the Front – A night celebrating women in music by bringing the finest crop of rising female music artists to the forefront. Back by popular demand MIRI and RoseRed bring you the tenth installment of artists who are currently making waves in the London music scene. Expect an eclectic musical feast of indie folk, delicious country roots harmonies, Yoruba acoustic soul and psychedelic magic storytelling to whet your appetite and stir your soul. Founded in early 2017, 3 singer-songwriters Emily Moment, Hannah Rose Platt and Rebecca Rosewell Formed country roots group the Savannahs. Inspired by artists such as Emmylou Harris, Gillian Welhj, Neil Young and Dolly Parton, The Savannahs lend their beautiful harmonies to a mix of both originals and rootsy covers. Two years after the release of her Home EP, British singer, songwriter Lánre followed with a new EP called Human. In the last few months since the release of her Human EP she has been commissioned to write two songs for COAT a sold out stage play at the Roundhouse by Yomi Sode and a song for the 80th Anniversary celebration of Cable Street. She was also one of the 14 artists selected by Brighter Sound for a 4-Day Residency Artist Director’s Series led by the Mercury Award Nominee Eska and Cardboard Citizens’ Artistic Director Adrian Jackson. Lánre as well as touring Canada, France, NYC and Sweden has taken her unique sound of Acoustic Soul, Folk and captivating storytelling influenced by her Yoruba heritage, to the Royal Albert Hall, Greenbelt Festival, Edinburgh Fringe, Bath Music Festival, Folkstock Festival, Musicport Festival and the Brighton Fringe among others. She’s currently working on a new album. Bity Booker is a folk singer and songwriter based in London. Her songs are mostly voice and classical guitar with a few whimsical touches such as bells, musical saw, and sparrow sounds, but the effect is mystical, mainly due to Bity’s precise, hypnotic fingerpicking style and elastic voice. A talented singer/songwriter based out of North London, Roisin McNeill, first caught the publics eye as lead singer for Country/Americana band, Newton Country, playing for multiple Under The Apple Tree sessions with Bob Harris, and played a live session at BBC Radio 2 on the Dermot O’Leary Show. Roisin writes tender, Country-inspired songs, and draws inspiration from Iris DeMent, Jason Isbell and Lori McKenna.